Paella Day at Tapas y Tintos! Name: Paella Day at Tapas y Tintos! Every Wednesday is Paella day at Tapas y Tintos! 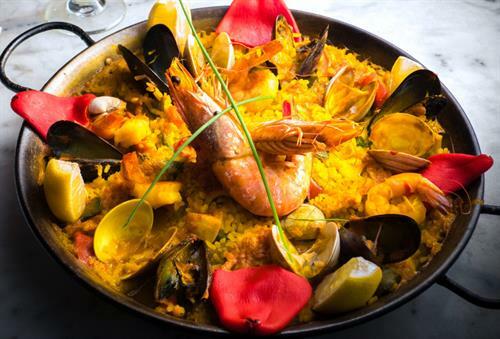 Join us every Wednesday to taste our famous Paellas paired with the most refreshing $6 cocktails! 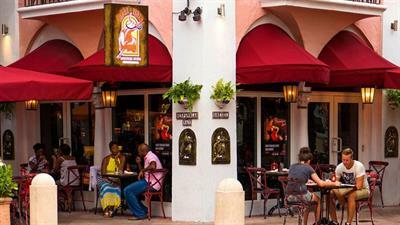 Tapas y Tintos has brought authenticity and corazón to the historic street of Española Way in Miami’s South Beach since 1981. 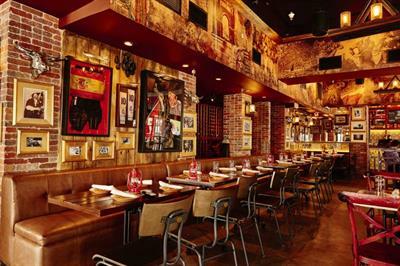 From ceiling to floor, the walls are covered with authentic photographs and decor of Spanish novelties such as Spanish Matador costumes, Spanish fans, Flamenco dancers and Spain’s beloved soccer teams. La Casa De La Ginebra Española, our signature bar, carries 18 different types of aromatic, citrus and floral gins and four different types of tonic, serving up gin and tonic the way that only the Spanish can. Our servers are knowledgeable in the various types of wine and ginebras and can enlighten guests on the perfect selections. Tapas is a Spanish term that comes from tapar which means “to cover”. Long ago, eateries in Spain served cured meats, Spanish cheeses and pieces of bread alongside bottles of tintos. Spaniards would use these foods to cover their glasses in order to avoid pesky wine-loving flies from tarnishing their drink. Today, this Spanish tradition lives on, minus the flies. Tapas y Tintos has developed a menu with authentic Spanish dishes from tapas frías y calientes such as Garbanzos Fritos and entrees like the “Seafood Paella” finished with traditional desserts like the Crema Catalana.